Today is a Saturday. On a normal Saturday, Kuala Lumpur would be bustling with activity, Saturday being a rest day for office workers and currently being the annual year-end school holiday. There are lots for the family to do in the city, places to take the children - for recreation, entertainment, food, the works. But not today. KL is the venue to today's anti-ICERD rally. 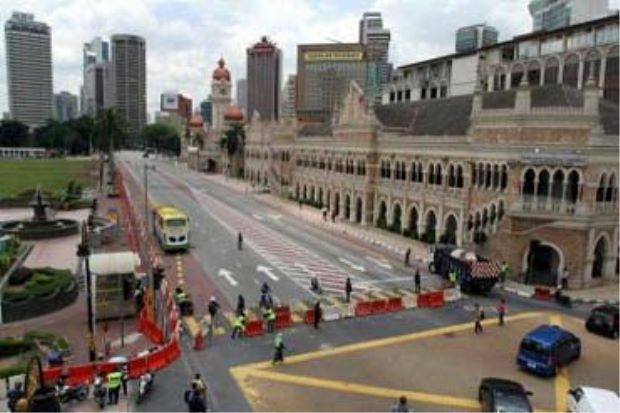 The picture below, compliments of The Star, shows the road fronting Dataran Merdeka closed to vehicular traffic. Many businesses in the vicinity have decided to close for business today in view of the crowd, estimated to be 500,000. And the Prime Minister tells those attending anti-Icerd rally to celebrate democracy, not cause chaos. The anti-Icerd rally will take place from 2pm to 6pm on Saturday (Dec 8) along Jalan Raja, Kuala Lumpur. ICERD stands for International Convention on the Elimination of All Forms of Racial Discrimination , It is a United Nations convention. The Convention commits its members to the elimination of racial discrimination and the promotion of understanding among all races. Malaysia is one of the nations that has yet to ratify it. The PM confirmed about a week ago that Malaysia will not ratify it. Despite that, the rally is still being called. Ironically, a Suhakam-organised rally to celebrate Human Rights Day scheduled for today as well had been advised to be called off. It is later announced that it will take place tomorrow. Human Rights Day is celebrated annually on December 10. 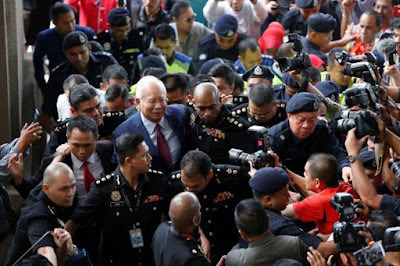 Former Prime Minister of Malaysia Datuk Seri Najib Tun Razak was arrested yesterday and was detained at the MACC in Kuala Lumpur. He is to be charged in court today. According to The Star, Datuk Seri Najib Tun Razak is expected to face several charges for committing offences under two Acts, sources said. Highly placed sources at the Malaysian Anti-Corruption Com­mission (MACC) said Attorney General Tommy Thomas is expected to lead the prosecution team and Najib will be brought to court about 8.30am. 8.05am: More than a dozen police personnel are stationed outside the Sessions Court where Najib is expected to be charged. They instruct reporters to register a representative per publisher, due to limited seats in the courtroom. 6.55pm: Court gates open to allow a convoy of police vehicles to enter. Police officers from the canine unit are also seen inspecting the car park and courts complex, while officers use metal detectors on nearby plant pots and garbage bins. You can follow updates on The Star. The former prime minister would be represented by senior lawyer Tan Sri Muhammad Shafee Abdullah. 12.43pm: The court has fixed 19 days for trial between February and March next year (Feb 18 - 28; March 4 - 8, March 11 - 15, 2019) to hear Najib's case. 12.32pm: Aug 8 fixed for case management. 12.24pm: Court granted Shafee's request for an interim gag order against both digital and print media from discussing merits of the case. 11.53am: Bail for Najib fixed at RM1mil in cash and two sureties. He will also surrender both his normal and diplomatic passports. Najib's lawyer says bail payment of RM500,000 will be made today and the balance of RM500,000 be made before 3pm on Monday. Malaysia is making her own history. A new era has begun. 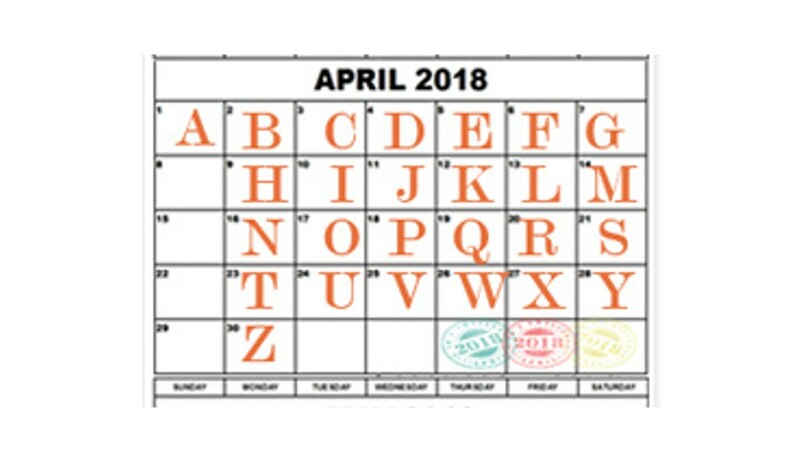 After nearly 61 years of rule by the same party since independence in 1957, today, May 10, 2018, marks the first day of rule by the other party (the Opposition until yesterday), the day of the General Election (GE14). The results show a shocking turnaround. Almost all west coast states of the peninsula with the exception of Perlis, switched to the Opposition. On the east coast, Pahang remains a BN stronghold. PAS the Islamist Party has managed to retain Kelantan and has even managed to wrest Terengganu from BN. What a change it will be for Terengganu. By the way, Club Med is located in Terengganu, so is the popular tourist island resort of Perhentian. Over in Borneo, Sabah saw a hung assembly with 29 seats to BN and 29 seats to the Opposition parties combined. This makes a third party Sabah STAR party the kingmaker garnering 2 seats. Sabah STAR decided to go with BN giving BN a simple majority to rule Sabah. Kedah and Perak also face a similar fate - a hung assembly. - the Opposition has won in Penang (retained) Kedah, Perak, Selangor (retained), Negeri Sembilan, Malacca and Johore, the southernmost state neighbour to Singapore. And tied in Sabah. - BN retains Perlis, the northernmost state, Pahang and Sarawak. - PAS, the Islamist Party, added Terengganu to the retained Kelantan. To give you a better picture of where the states are, here is a map of Malaysia. Thursday and Friday declared public holiday. 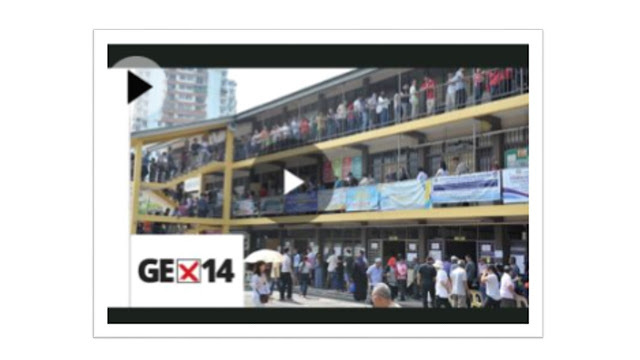 You may also be interested..
BBC - Malaysia election: What just happened? 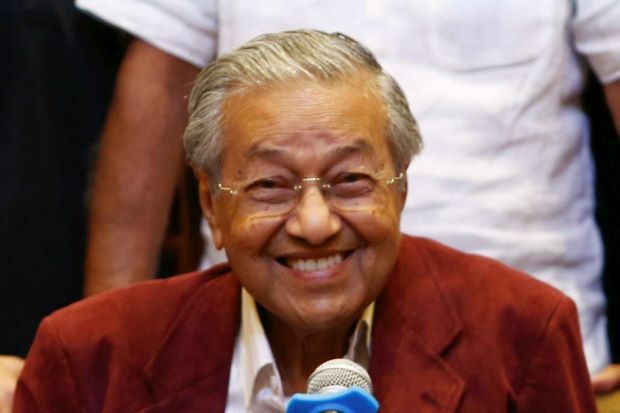 A 92-year-old man has just pulled off the most extraordinary election result in Malaysian history. Here's how it happened and what it might mean. Malaysia Boleh! Malaysia can do it! Malaysians go to the Polls today, May 9. Booths open from 8:00AM to 5:00PM. Below depicts a typical polling station. Schools double as polling stations during General Elections which take place every five years. The Election Commission said voter turnout was at 55 percent out of the total 14,449,200 voters in GE14 as of 1pm. 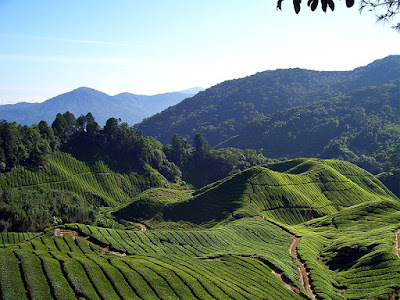 Cameron Highlands is a popular holiday destination in Malaysia. The cool temperate weather is one of the main draws to this hill station with elevations ranging from 1,100 metres (3,600 ft) to 1,600 metres (5,200 ft) above sea level. Developed in the 1930s, the tableland is one of the oldest tourist spots in Malaysia. Apart from its tea estates, the plateau is also noted for its cool weather, orchards, nurseries, farmlands, waterfalls, rivers, lakes, wildlife, mossy forest, golf course, hotels, places of worship, bungalows, Land Rovers, museum and its aborigines (Orang Asli). 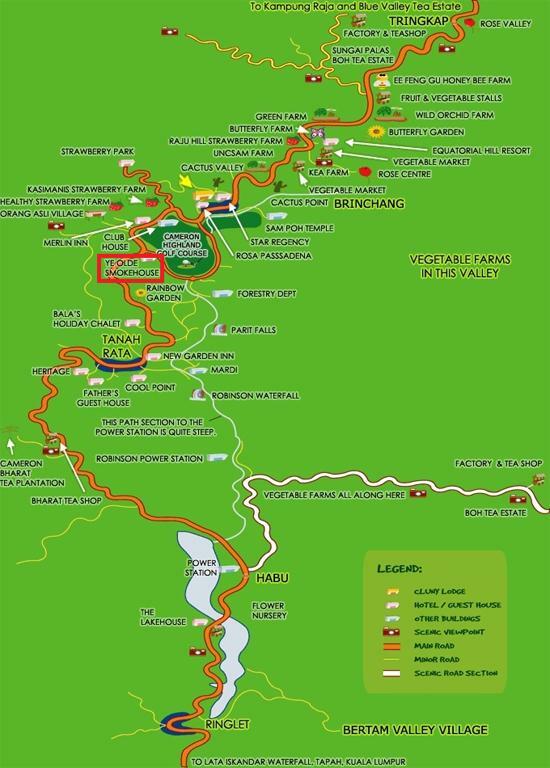 Situated at the northwestern tip of Pahang, the “Camerons” is approximately 90 kilometres (56 mi) from Ipoh, roughly 200 kilometres (120 mi) from Kuala Lumpur or about 355 kilometres (221 mi) from Kuantan, the capital of Pahang. During the colonial era, the “Camerons” was a haven for those who were homesick. Today, it is a stopover for those who want to escape from the heat of the lowlands. Over the years, there have been many improvements at the province. Some landmarks have withstood the test of time such as this, Ye Olde SmokeHouse Hotel, an English Tudor boutique style hotel, built in 1939 and is situated adjacent to a beautiful golf course. 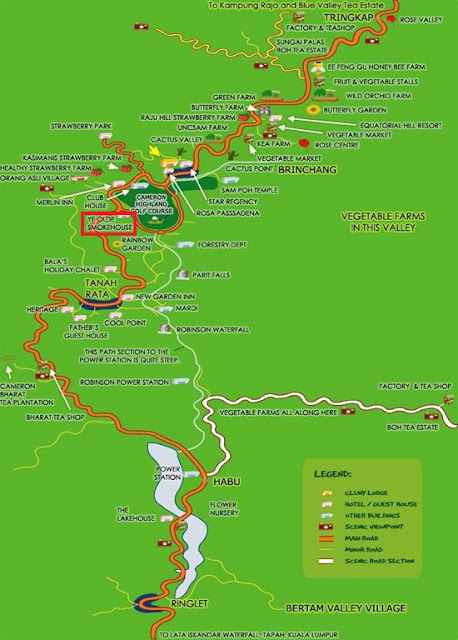 As you can see from the map below (courtesy of Ye Olde SmokeHouse Hotel), there is a lot of things to partake in at Cameron Highlands. 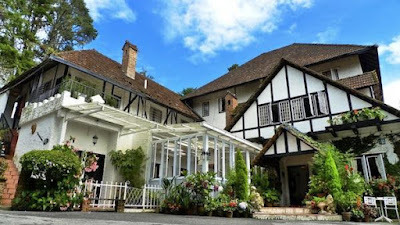 Here's a You Tube video to give you an idea of one of the attractions or what's in store for you on a weekend visit to Cameron Highlands. The next time you're headed up to the gorgeous hill stations of Cameron Highlands, plan your trip around the weekend so you can explore the delicious and fun night market there. Malaysia's Cameron Highlands Pasar Malam is the ONLY night market in all of the Cameron Highlands and it is full of some unique and tasty treats, tons of fruits and vegetables from local farmers, homemade honey and juices, and even locally made wooden and other handicrafts. And if you're coo coo for strawberries, well this place is your nirvana because they have everything from organic fresh berries to keychains and strawberry umbrellas! I honestly had so much fun. My only regret was that it was raining and I had to hold my camera with only one hand! I ate a ton, shopped a bit, and really enjoyed the lovely friendliness of everyone I encountered. B is for Batu Caves. When in Kuala Lumpur, capital city of Malaysia, (KL for short), chances are your guided tour itinerary would include a visit to the Batu Caves. Batu Caves is a limestone hill that has a series of caves and cave temples (Hindu) located on the fringe of the city center in Gombak, Selangor. In fact, it is along the stretch of MRR2 (Middle Ring Road 2, one of a number of highways in the Klang Valley). It is visible from the highway itself. That's how easily accessible it is. Rising almost 100m above the ground, the Batu Caves temple complex consists of three main caves and a few smaller ones. 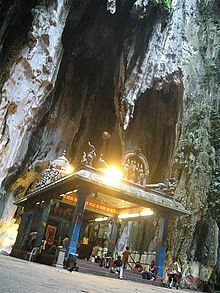 The limestone forming Batu Caves is said to be around 400 million years old.. Wikipedia. 272 concrete steps up will take you to the main Temple Caves. 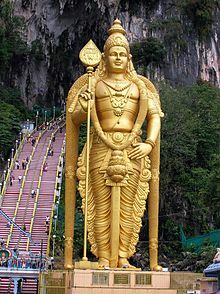 Standing at 42.7 m (140 ft) high, the world's tallest statue of Murugan, a Hindu deity, is located outside Batu Caves. If you don't mind crowds or want to soak in some local culture, time your visit to Batu Caves to during Thaipusam, a Hindu festival that can see thousands making it to the caves either as devotees or plain visitors for a life-time experience. I kid you not. Kavadi-carriers are indeed a sight to behold. The A to Z Blogging Challenge begins today! Exciting month ahead. For the month of April, my posts here will primarily be on Malaysia, the theme I chose to write about for the Blogging Challenge this year. Welcome to Malaysia! And let the Challenge begin! A.. can be for many nice things in Malaysia but I have chosen Air Asia, but of course. 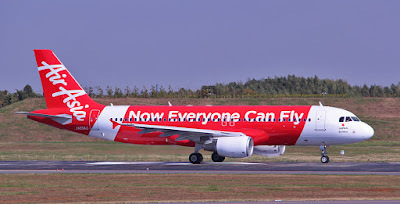 The World's Best Low Cost Airline is Malaysia's very own Air Asia. They have been the Best for the 9th year in a row. You read it right. This was revealed at the 2017 Skytrax World Airline Awards held at the Le Bourget Airport in Paris, France in June last year, 2017. When Air Asia has a Mega Sale, at least once or twice a year, I have lost count, one is able to travel with a '0' fare ticket to selected destinations. You only need pay surcharges. Now Everyone Can Fly so says Air Asia.. it's even on their aircraft livery. 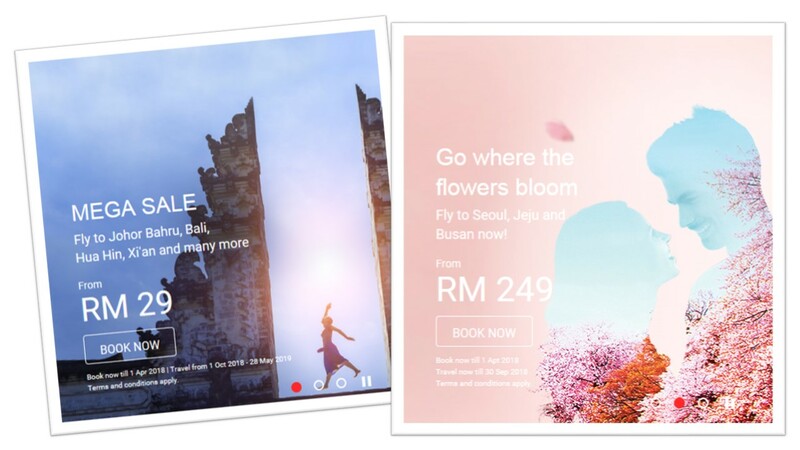 Malaysia has seen an increase in air travel for leisure - in and around the country as well as overseas because of the availability of cheap airfares, thanks to Air Asia. Imagine going to Johore Bharu, Bali, Hua Hin or Xian for as low as RM 29! For perspective, that's roughly USD7.50. Or visit Seoul, Jeju, or Busan for as low as RM 249 (below USD65)! Incidentally, these are their current offerings for a travel date later this year. See image below. For more information, visit the Air Asia website. Ahem... a little digression here, a pretty picture no less. 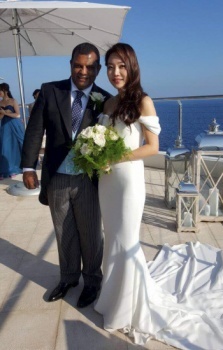 AirAsia Group Chief Executive Officer Tony Fernandes married his Korean girlfriend, Chloe, in France. B... comes up tomorrow. See you then. 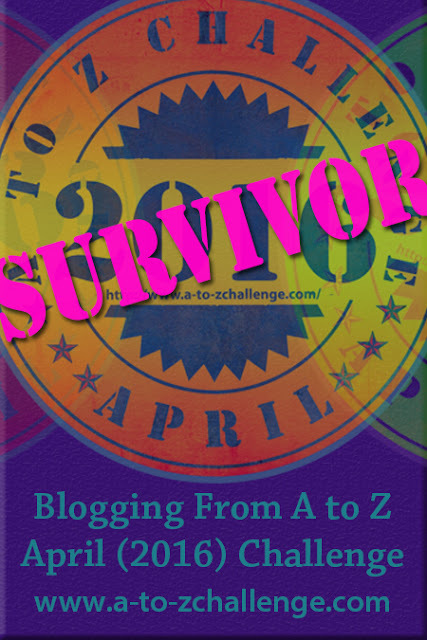 You can read my posts for the 2016 A-to-Z Blogging Challenge. At the end of my first challenge in 2016 (can read posts here), I told myself never again. So I skipped it last year, 2017. Looks like it's not easy to stay away and so I signed up for the 2018 challenge a few days ago (listed at No.331 on the A to Z Challenge list). Besides, the blog needs some updating as it has been in a bit of a neglect, you see. Back in 2016, I was doing random A to Z posts with no particular theme. This year I thought I'd do a theme on Malaysia - the places, the people, the food, everything to do with Malaysia, where I am located. 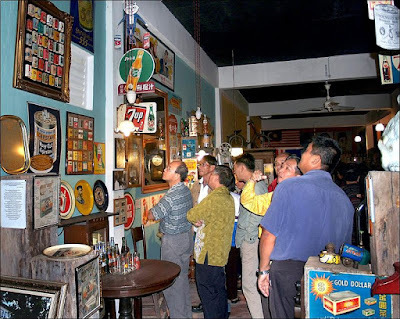 Come visit if you would like to know a thing or two about Malaysia. 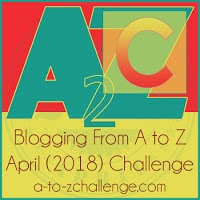 And if you are game to join in the fun, sign up to the A to Z Challenge (2018). Sign-ups are open until March 26. 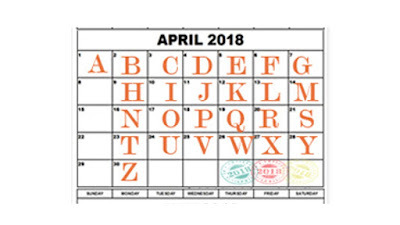 The challenge starts April 1 - an alphabet a day (excluding Sunday).